﻿ THE INTERNATIONAL TRAINING INSTITUTE » WHY CHOOSE ITI ? You will not be disappointed when you choose International Training Institute (ITI) for your educational needs. ITI provides excellent training using excellent facilities which will certainly meet your expectations. 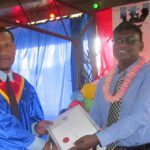 ITI has grown to be a leading private training and education provider in Papua New Guinea within a short span of time. The International Training Institute (ITI) was established in March 1999 to provide affordable and quality education for the people of Papua New Guinea. ITI initially offered certificate courses in computing and had an intake of 30 students in its first year. From this humble beginning, ITI has grown to a stage where the institute now offers Certificate courses, Diploma courses in the areas of Business and Information Technology and Advanced Diploma program in Accounting, and have been associated with many local and foreign educational bodies and universities. You will not be disappointed when you choose International Training Institute (ITI) for your educational needs. ITI provides excellent training using excellent facilities which will certainly meet your expectations. ITI has grown to be a leading private training and education provider in Papua New Guinea within a short span of time. The International Training Institute (ITI) was established in March 1999 to provide affordable and quality education for the people of Papua New Guinea. ITI initially offered certificate courses in computing and had an intake of 30 students in its first year. During the past 13 years ITI has established itself as a household name in education and training. 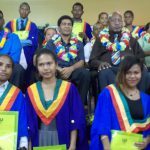 This is evident as many students have travelled as far as from Bougainville and Manus provide to study at ITI in Port Moresby. 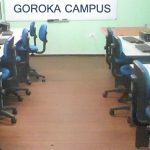 The enrollment numbers of students surpassed the 1,000 milestone in 2003 whilst the year 2012 the number of students exceeded 2,500.